CG Questions, baptisms, serving, and more! We're excited for all that's coming up this week! ...and we're so excited that we can celebrate Jesus with baptisms! Baptism is your way of telling the world that Jesus has saved you, that you love him, and that you want to live your life for him! This is a momentous occasion that testifies of all Jesus has done! If you know and love Jesus, but haven't been baptized yet, we want to celebrate your relationship with him by helping you make that bold proclamation on Easter! If you have any questions, contact us. Click the button below to fill out the baptism form. As we're ramping up for Easter, we have a need for more volunteers and we'd love your help! We need parking lot attendants, greeters, and coffee & hospitality. If you're ready to jump in, let us know here! 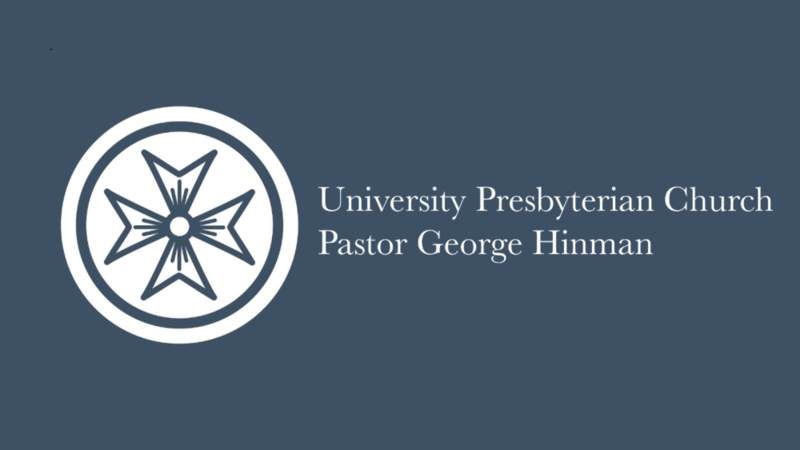 This week, we're praying for Pastor George Hinman and University Presbyterian Church. - Read Ruth in its entirety together. - Have you ever grown tired of praying for something and turned to scheming to make something happen? How did it turn out for you? - Is there a theme of redemption through the book of Ruth that jumps out to you? - In the arc of the story, where or with whom do you currently best relate? Think about the various facets of your life and how each may be at a different point and trajectory. Do you see the goodness of God? - As with the other potential redeemer in the story, how have you been so concerned with your name, legacy, and power instead of the laws and principles of God?